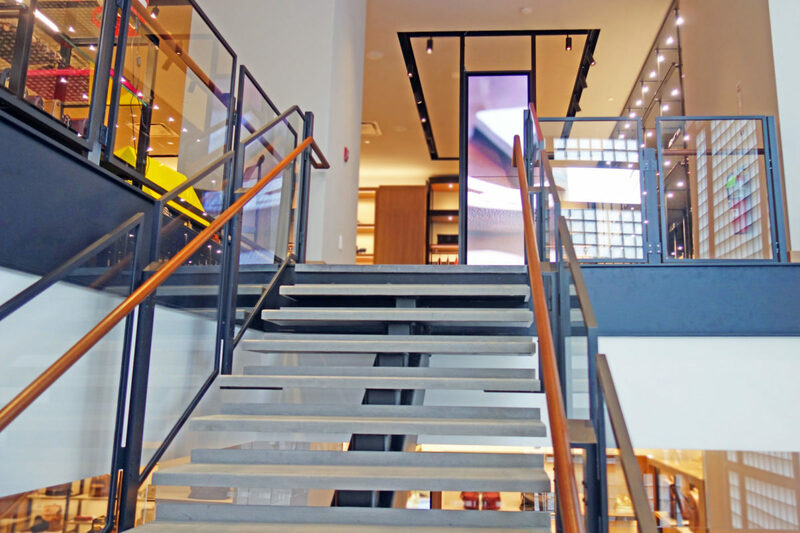 Elements combined to make the Coach flagship store a success. 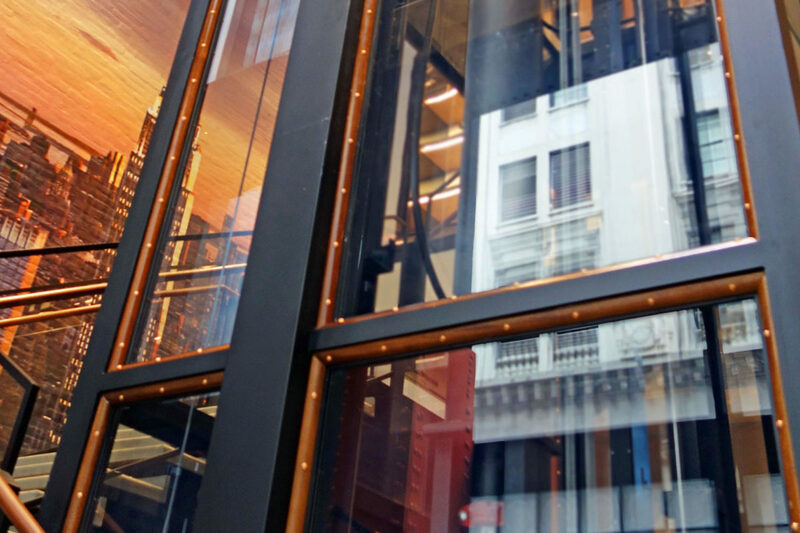 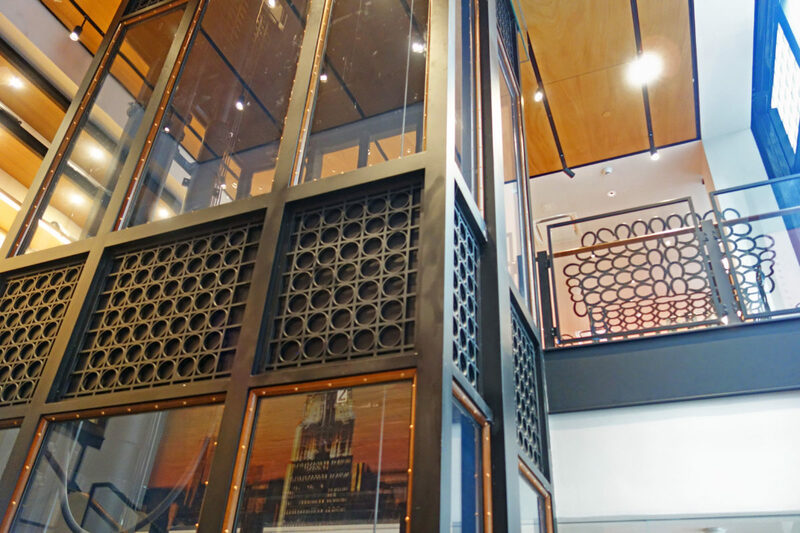 Waterjet cut decorative panels + laminated safety glass elevator enclosure. 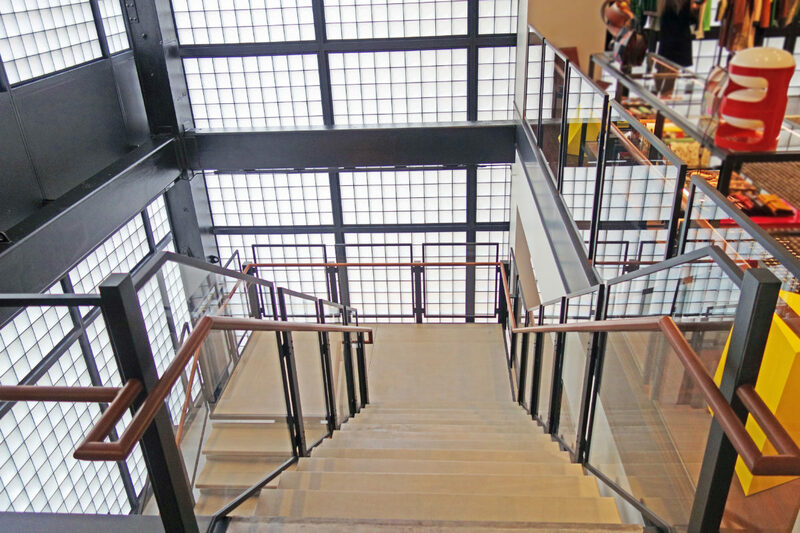 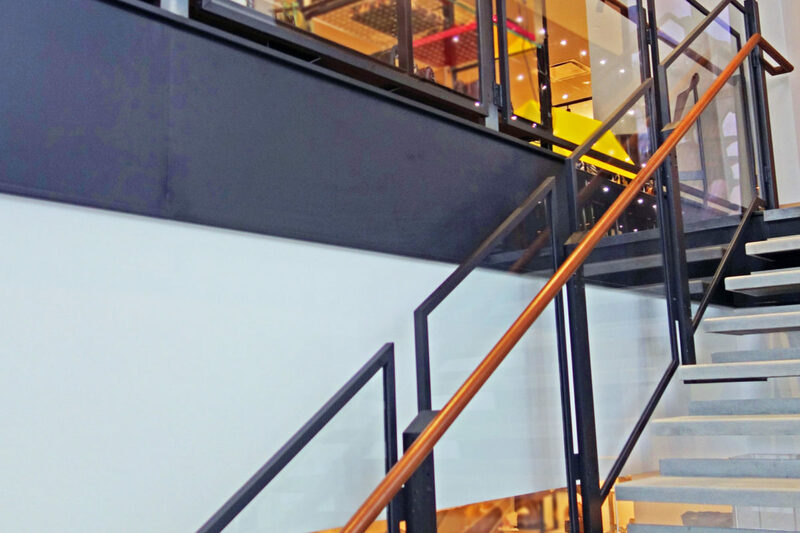 Mistral fabricated steel stair + guard railing. 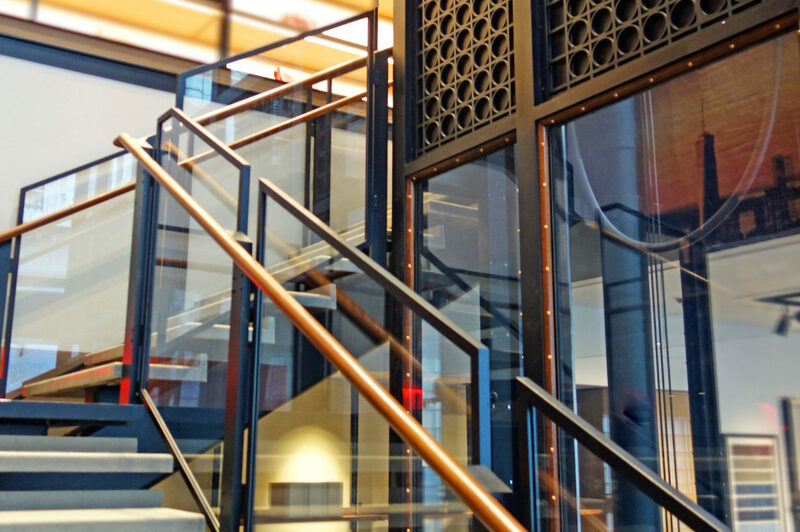 Custom fabricated steel tube with sharp corners at elevator enclosure.